Yes,you made the case, the best of all, National Relaxation Day wins! 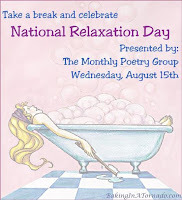 Yesterday was Relaxation Day? I missed it completely, spending most of the day on buses going right across town a couple of times chasing the only copy of a certain book I wanted to buy for an upcoming birthday gift. I guess I could make today my Relaxation Day instead. Yay! 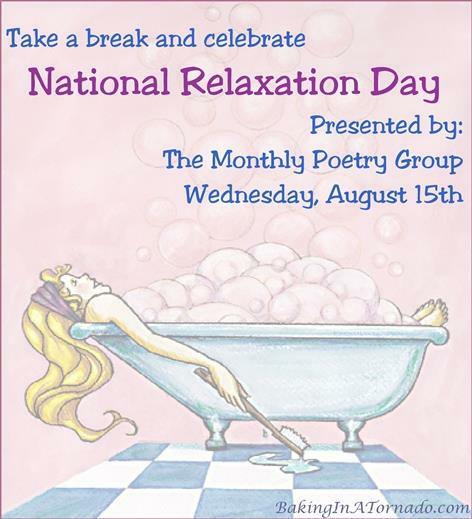 Natural Relaxation day sounds awesome. Sign me up! Sometimes I wish every day was relaxation day . . . but then they wouldn't be as enjoyable, would they? Well done on the poem; that looks like it was a lot of work to get all those special days in there, IN RHYME yet! Echoing others. A day I would/should welcome MUCH more often.